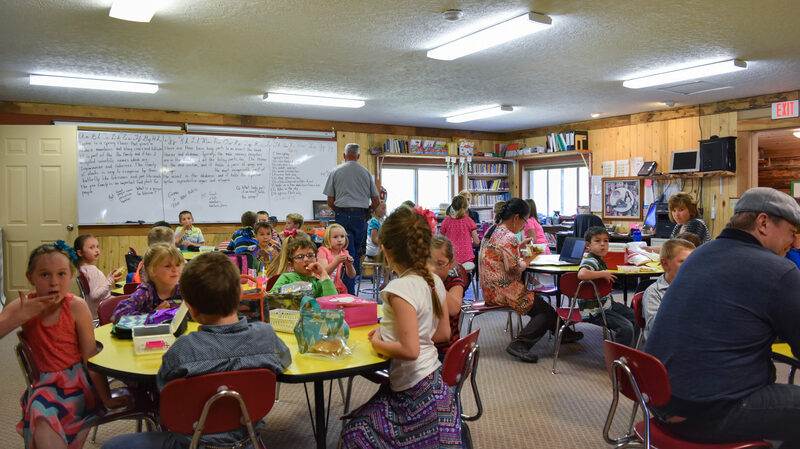 The Mission of the Idaho Charter School Network is to improve student achievement and expand choice among high quality public schools by advancing and supporting Idaho’s charter schools. We support efforts to improve the overall charter school movement both in Idaho and across the nation. Dr. Bill Russell is an attorney who is dean of the school of business a Northwest Nazarene University. He was formerly Executive Director for Community Relations and General Counsel for Northwest Nazarene University and also served as a professor of Business Law and Business Ethics. He has also consulted on management and business practices with K-12 schools across the Pacific Northwest. In 2010, Bill was named the International Award for Teaching Excellence winner by the Accreditation Association for Business Schools and Programs. In receiving the award, he competed as one of nine Regional award winners against professors from India, Paraguay, Indiana, Oklahoma, Pennsylvania and Missouri. Bill is an avid reader and has published one book, Let Fly Thy Arrow, available on Kindle. He is the Chairperson of the Board of Directors of North Star Charter School in Eagle, Idaho. Terry Ryan is CEO of Boise-based nonprofit Bluum, and a member of the Rural Opportunities Consortium of Idaho (ROCI) task force. Before moving to Idaho in August of 2013, Terry served as Vice-President for Ohio Programs and Policy at the Thomas B. Fordham Institute for twelve years.Terry began his career in education as a teacher in Poland and worked with the Polish Ministry of Education and the Foundation for Education for Democracy.In the 1990s, he served as research director for the UK-Based 21st Century Learning Initiative. He is a member of the CAEP Commission on Standards and Performance Reporting, and is a member of the National Alliance for Public Charter Schools Policy Advisory Council.Terry has co-authored two books on education. Ohio’s Education Reform Challenges: Lessons from the Frontlines with Chester E. Finn, Jr. and Michael Lafferty of (Palgrave Macmillan, 2010), and The Unfinished Revolution with John Abbott (ASCD Press, 2000).Terry holds a Bachelor’s degree in History from Eastern Illinois University and a Master’s degree in Political Economy from the University of Denver’s Graduate School of International Studies. Joe Bruno oversees and directs all aspects of Building Hope’s operations. He is a certified public accountant with 35 years of accounting, finance, business and management experience, was a partner in two of the “Big 4″ international accounting firms and the CFO of a public company. As president of Building Hope, Joe has expanded the company’s operations from Washington, D.C. to as far south as Florida and as far west as California. His financial acumen and skillfull management at the helm is evidenced in the load portfolio which has never suffered a default from its operations in thirteen states and the District of Columbia. Joe’s executive expertise has also been recognized with election to the board of a public company in addition to many other board positions. He is active with charities, charter schools, and other non-profit organizations. Renita Thukral is the Senior National Advisor for Legal Affairs for the National Alliance for Public Charter Schools, where she leads and grows the Alliance of Public Charter School Attorneys; addresses civil rights, fiscal equity, and labor/employment issues confronting charter schools; assists with federal legal questions challenging the charter school community; provides legal technical assistance to state partners considering litigation; and offers support to state partners seeking to improve their regulatory and authorizing environments. Prior to her work with the National Alliance, she was the policy director at the Louisiana Association of Public Charter Schools and, prior to that, the director of policy and advocacy at New Schools for New Orleans. Renita was an adjunct professor at Loyola University New Orleans College of Law and has been invited to speak at Harvard Law School, Columbia University Teachers College, and Johns Hopkins School of Education. In 2010, she published a law review article in the Loyola Journal of Public Interest Law titled “The Unique System of Charter Schools in New Orleans after Hurricane Katrina: Distinctive Structure, Familiar Challenges,” which examined the New Orleans charter school community. In 2013, she published a law review article in the ABA Journal of Labor and Employment Law titled “Federal Regulations of State Pension Plans: The Governmental Plan Revisited,” which explored the impact of federal rulemaking on the eligibility of quasi-public entities to offer state pension benefits to their employees. Before entering the charter school world, Renita was a public defender in New York City, practicing at the trial and appellate levels in state and federal courts. She clerked for the Honorable Robert W. Sweet in federal district court in the Southern District of New York. She earned her juris doctorate from Yale Law School and her Bachelor of Arts from Stanford University, where she was inducted into Phi Beta Kappa during her junior year. She taught junior high school math in Los Altos, California, before attending law school. Renita proudly serves on three nonprofit boards. She is a founding board member of Harmony School of Excellence-DC, a charter school based in Washington, D.C. She serves on the board of Charter Board Partners, a national nonprofit that designs and drives high-quality governance for charter school operators around the country. And she is the vice president of the board of Global Charity Foundation, a United States-based nonprofit that provides health care and education services to women and children in India. Marta is founder and CEO of Reyes-Newberry & Associates, a consulting firm creating sustainable, smart educational learning systems. Marta has been active in the school reform effort for over 20 years. From 2003 through 2007, she was the first state director of the Charter Schools Division for California. Within three years, the Division was recognized by the U.S. Department of Education as a national leader for its work to support, promote and oversee the creation of high-quality charter schools throughout California. Marta was founder and executive director of the first county-sponsored charter school for the El Dorado County Office of Education in California. She also served as a board member and president of the board of the California Network of Charter Schools. Reyes received her Bachelor of Science degree from California State Polytechnic University and received a fellowship to pursue a federally funded Masters in Educational Leadership for Entrepreneurs at Arizona State. Chris founded Yorgason Law Offices, pllc, in November 2011. His practice consists mostly of transactional and general representation, with a focus on municipal government, education, charter schools, real estate and general business. Chris’ family has lived in the Treasure Valley for over 100 years. He was born at Travis Air Force Base while his dad was serving in the Air Force, but they returned to Idaho before his first birthday. He is a member of the first graduating class of Centennial High School. 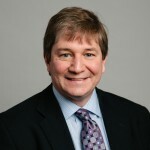 After high school, Chris attended Brigham Young University where he graduated in 1995 with a double major in political science and finance, with an international emphasis. Chris also earned minors in Thai and Business Comp.